Capital One has announced that it will report credit limits on its credit cards to all 3 major credit bureaus amid criticism from consumer and industry groups. 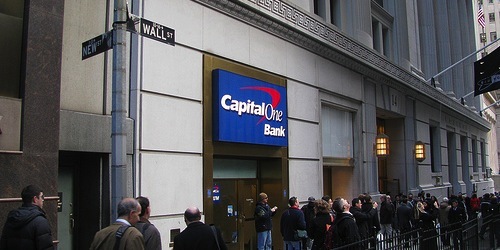 The move will also help improve card holder’s credit scores, which likely suffered from a lack of information regarding the credit lines many had established with Capital One. The decision to report credit limits should boost the credit scores of many Capital One card holder’s because it will reflect an increase in the amount of available credit borrowers have. That is one of the measures used by Fair Isaac to determine a consumer’s credit score, and a rather important one. In the past, Capital One used the card holder’s highest balance as the credit limit it would report to the credit bureaus. This in turn would cause the credit bureaus to believe that the credit card limit was the highest amount ever charged on the card. Take for example a card holder who had a high balance of $2,000, but their actual credit limit was $10,000. Every time they carried a balance near the $2,000 mark, their credit score would be dinged for utilizing too much of their available credit despite the fact that they really had an additional $8,000 of credit available. The move should improve credit scores for most Capital One card holders, but don’t expect any miracles. If you have a large mix of seasoned tradelines and credit history, the change probably won’t be very significant. But if you have limited credit history and tradelines, the change could push your score 50 points higher. It’s really all dependent upon your unique credit history and profile, but it’s certainly good news for Capital One customers. Related: How to raise your credit score.